The 23 games of Paul Harrison’s management term came to an end last week when he left the club. His last 19 games in charge had ended in defeat after a starting with a promising victory against AFC Uckfield, unfortunately a draw in his 4th game was all he could add and the end was inevitable after their 1-8 defeat at Oakwood. The club acted quickly in bringing former captain Ben Barnett in to take interim control while they search for a permanent appointment. Barnett was already registered this season but had only played one game before being injured in a car accident. He is however hoping to be able to return in the not too distant future to help in the task of avoiding relegation. His first game in charge was on Saturday at home to Storrington and there was clear evidence of an improvement in attitude among the players with a happier atmosphere before and after the game. It was a good game for Barnett’s first with Storrington sitting just above Town in the table, but once again, just as his predecessor, he was unable to select from a full squad with Tom O’Donnell, Michael Flynn and Mark Browning both unavailable. Dean Paston returned to take one of the places and Dave Charley was promoted from the Reserves to take over the striker’s role, with Rob Jones, Andy Ashton and Craig Pook on the bench. 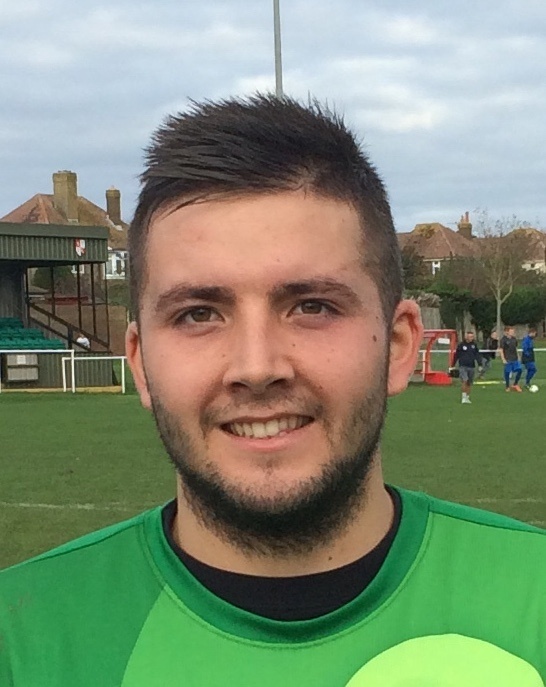 It was almost a dream start when Mike Piperakis ran onto a long ball, drew the ‘keeper but unfortunately chipped on to the post and the ball rebounded to safety. The Swans began to get involved in the game and Town were pleased to have Ben Head in fine form between the posts, his speed off his line and ability to spread himself denied the visitors on a number of occasions, while John Pullinger put in a number of timely interceptions as well. The game was scoreless up to the interval but as has happened on a number of occasions this season Town failed to switch on from the restart and seconds after the kick off they were a goal down. The ball was given away in midfield and quickly played forward to Joe Warner unmarked on the edge of the area and his finish was clinical. Storrington’s second goal was similar after the ball again given away by Matt Acton, played into Warner and this time he played the ball under the advancing Head. Acton was keen to make up for his mistake and went on a strong run down the left before he cut inside and forced the Storrington ‘keeper to push his shot away for a corner. Jones was introduced for Paston and he reduced the arrears twelve minutes from time, stooping low to head a corner in from 5 yards and after Sean Harris-Hardy was sent off for a wild kick on Piperakis hopes were high Town could steal at least a point. Unfortunately when the chance arrived a minute from time Jones turned Acton’s cross over the bar from close in and it was yet another defeat. After the game Barnett said “The players worked really hard in training and appeared to enjoy what we asked them to do. They gave 100% today and I am very positive of what we can achieve, there is certainly plenty of optimism we will be able to kick-on, hopefully sooner rather than later”. On Saturday town travel to Rustington. Team: Head, Brown (Pook), Stannard, Le Cras, Pullinger, Hawes, Paston (Jones), Acton, Charley (Ashton), Hayward, Piperakis.